Blackcurrant seed oil is one of the 3 ideal oils for hair and health because of its high gamma-linolenic acid (GLA) content. The other two perfect oils are being borage seed oil and evening primrose oil. Read Solve Dry Scalp & Dandruff Issues with Borage Seed Oil and Nourish Hair and Skin with Evening Primrose Oil for more information on the other two perfect oils. What is Blackcurrant Seed Oil? 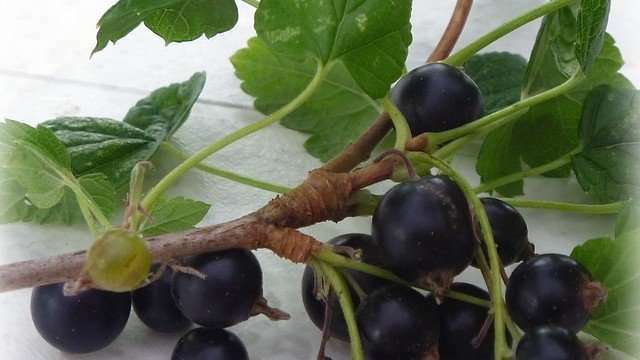 Blackcurrants are sourced from a plant known as Ribes nigrum. This plant is common to Europe and Asia. Blackcurrants are full of vitamin C, vitamins and minerals and are often eaten raw. It is also used to make jams, jellies, sweets, and beverages. 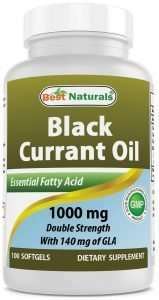 The oil is derived from the seeds of the blackcurrants and is full of essential fatty acids. Blackcurrant seed oil contains significant amounts of gamma-linolenic acid (GLA). GLA is vital to overall body functions yet hard to come by in the diest. GLA aids in reducing symptoms of common ailments such as inflammation, colds, coughs, and menopause. Blackcurrant seed oil also contains a high amount of omega-3 & omega-6, anthocyanins, and stearidonic acid. Is Blackcurrant Seed Oil Good for Hair? 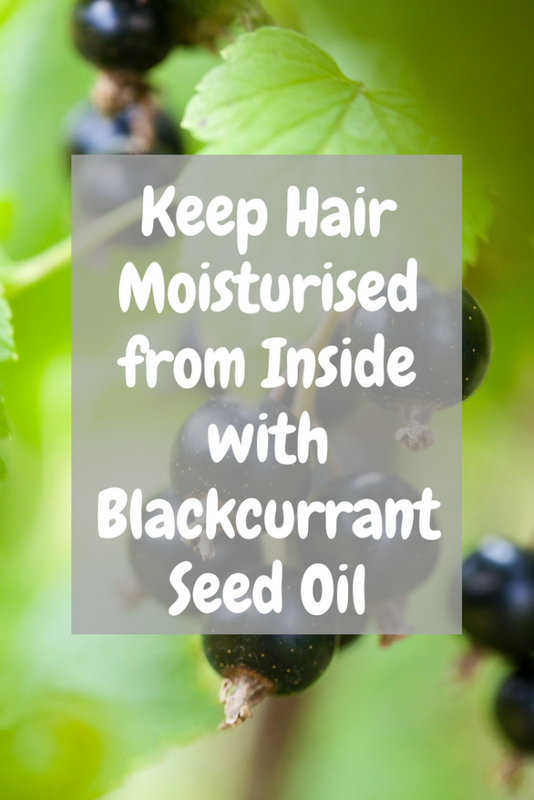 Blackcurrant seed oil has many benefits related to overall health but when it comes to hair, it addresses issues such as dryness, weakness, thinning and split ends. The gamma-linolenic acid (GLA) content in blackcurrant seed oil can block the production of DHT (dihydrotestosterone), a hormone that attacks hair follicles in the body. Another oil that does this is pumpkin seed oil. Read Protect Hair Follicles with Pumpkin Seed Oil and Are Pumpkin Seeds Good for You? for more on adding pumpkin seeds to your diet. 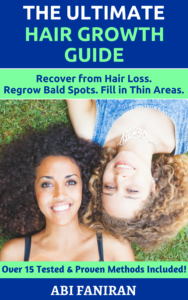 The gamma-linolenic acid (GLA) content in blackcurrant seed oil can nourish your curls from inside leading to more moisturized hair and healthier flow of nutrients to your hair follicles thus promoting hair loss recovery. It will also help improve hair elasticity. As opposed to most oils that are applied topically, blackcurrant seed oil is best consumed as a supplement. Blackcurrant seed oil supplements are more effective than topical application of the oil. Additionally, blackcurrant seed oil can help revive weak, brittle and breaking nails. Just break open the soft gel, dab on the nails at night and rub in until absorbed. 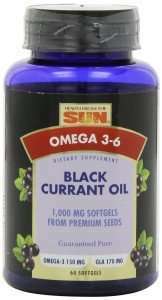 Blackcurrant seed oil is available as soft gel caps with a 500mg dosage taken twice a day. Aim for caps containing at least 45 mg of gamma-linolenic acid (GLA). As great as it is, there are some side effects associated with blackcurrant seed oil such as headaches, nausea, and dizziness. To combat this, take the supplements with plenty of water instead of soda, juice or other flavored drinks. As always, check with your physician before you start consuming supplements especially if you have any health issues. Why is Blackcurrant Illegal in the US? Did you know blackcurrants are illegal in the USA? In the early 20th century, blackcurrants carried a type of fungus that threatened the logging industry in the US. They were subsequently banned as a result. Restrictions have relaxed since the twentieth century but the blackcurrant remains less popular in the states today than it is in other parts of the world.